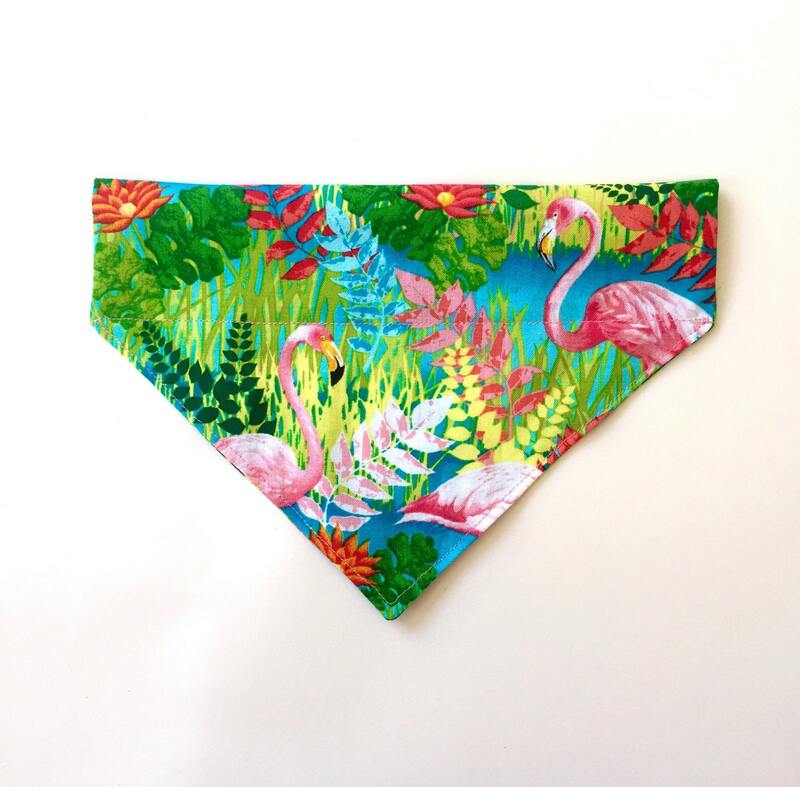 Slip this pretty Tropical Pink Flamingo dog bandana on your dog's collar ! The luminous pattern matches wonderfully with a sandy-coloured coat like Hoskar's. 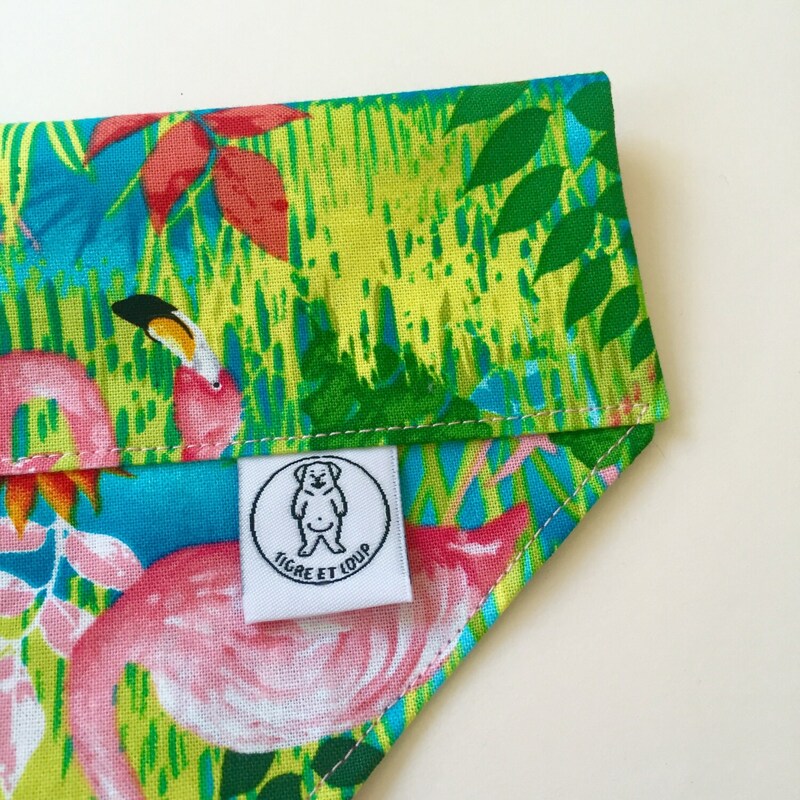 Tigre et Loup's bandanas sizes match with Tigre et Loup's collars sizes. 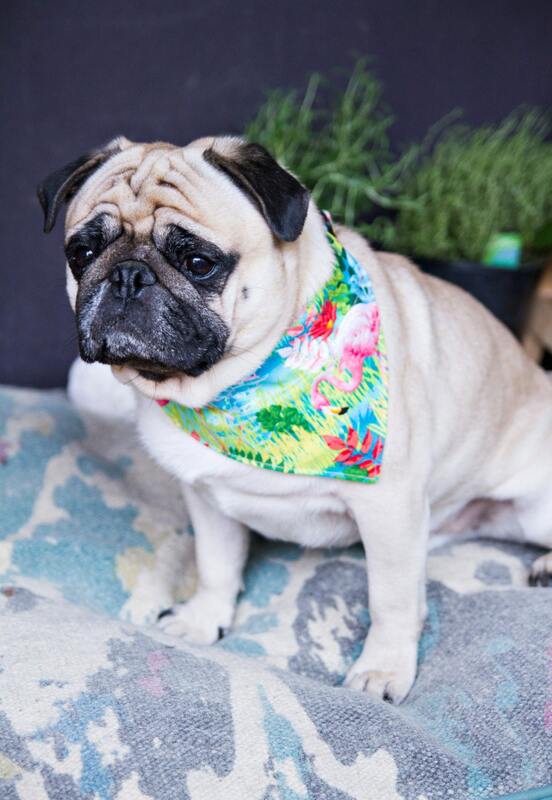 If you purchase a dog collar in M size, choose the M size bandana. If doubts remain concerning the good size, send me a message and I will be glad to guide you. It is easier to slip the collar in the bandana slipping the male part of the collar in the bandana first.